In my new novel Crescendo! (due for release next month) my dynamic duo of Austerley and Kirkgordon find themselves in Russia and I was wondering how to describe what they found there. The Old Bear produces some dark secrets and a bizarre street but I thought this quote hit the right note. In the meantime you can grab the prelude to Crescendo! entitled “Footsteps” at Smashwords or email me (carpetlessleprechaun@hotmail.com) to join my mailing list and receive a free copy. All email addresses will only be used to deliver exciting news about Carpetless publications and will not be passed onto any other party. 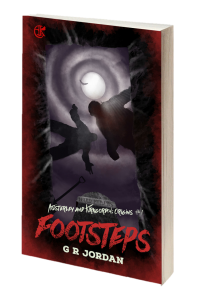 Please indicate whether you prefer a mobi, epub or pdf copy of “Footsteps”.